Mahagama Sekera nait en 1929 à Sri Lanka. Il débute son parcours artistique et créateur par la peinture. Mahagama Sekera contribue également à tous les courants de la littérature. Il rédige des essais et de courtes pièces dans des hebdomadaires et des magazines singhalais et publie plusieurs romans et poèmes. Il écrit en outre plus de cent chansons dont plusieurs ont été mises en musique et chantées par W.D. Amaradeva﻿﻿. Mahagama Sekera est considéré aujourd’hui comme l’une des figures de proue de la poésie singhalaise. Ses œuvres révèlent parfois une influence bouddhiste. En 1970, il acquiert une renommée de cinéaste en portant sur grand écran son roman semi-autobiographique Thun Man Handiya. Mahagama Sekara décède en janvier 1976 à l’âge de 46 ans. Ses poèmes et ses chansons demeurent largement connus sur l’ile quarante ans après sa mort. Mahagama Sekera was born in 1929 in Sri Lanka. He started his artistic and creative career as a painter. Mahagama Sekera also contributed to every branch of literature. 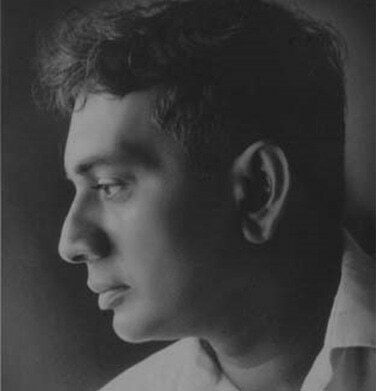 He wrote short essays and plays to sinhala weekly papers and magazines, published several novels and poetry, and wrote over 100 songs. Many of his songs were vocalised and music directed by W.D. Amaradeva. Mahagama Sekera is considered today as one of the most significant figures in the Sinhalese poetry. His writing occasionally shows a Buddhist influence. 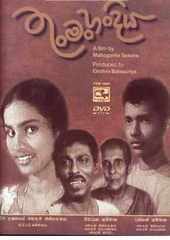 He also became a reputed moviemaker after directing his semi-autobiographical novel Thun Man Handiya as a motion picture in 1970. Mahagama Sekara passed away in January 1976 at age 46. His poems and songs remain widely quoted on the island forty years after his death. The film is set in a small village and follows progression in painter Abilin’s life through the eyes of his nephew Sirisena. Abilin is an alcoholic and drifts through his life in debt and without focus. After getting into arguments with other villagers and his own brother, Abilin decides to take a job with a rich landowner. Sirisena then goes to art college inspired by his uncle. He develops his art skill there and dreams of showing his talent to Abilin. Abilin’s situation, however, deteriorates due to alcoholism, juxtaposing serenely with Sirisena’s foray into art in the city.